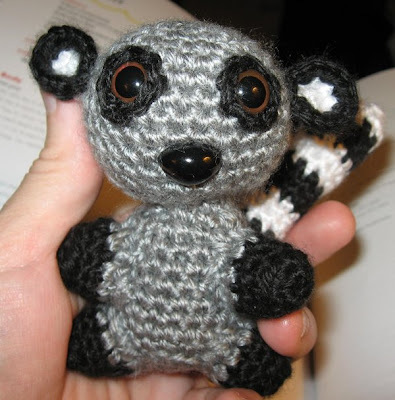 Jael's Art Jewels Blog: Amigurumi Lemur FINISHED!! Oh my goodness that is so freakin cute!!! oh my - this is so funny!!! I laughed out loud whe I saw this!! That is just adorable Jael! He's a cutie! Love that tail! And those eyes! Awwww how cuuute! I love it!